2015 has been a great year for the rock community. That is because so many standout albums have been released this year. This includes new rock albums both in the underground and the mainstream. There have been so many outstanding rock albums released so far this year that there was just not enough room for all of them on just one list (that is unless one were to make a list of the year’s top 100 new rock albums). Keeping that in mind, it couldn’t have been easy for any critic to develop a year-ender for the year’s best new rock records. It definitely wasn’t easy for this critic. This critic’s list of the year’s best new rock records presents albums from some relatively well-known bands and some that might not be so widely-known. Regardless of how well-known said acts (and albums) are, it can be said that each wholly deserves its spot on this list thanks to musical and lyrical content that is more apt to keep listeners engaged from beginning to end than any other band or album. Enough rambling. Without any further ado here is the list of those bands and their respective albums. This is the Phil’s Picks ‘ 2015 Top 10 New Rock Albums. As with every other list, the main body of the list is made up of the year’s Top 10 Best new records. The bottom five receive honorable mention for a total of fifteen albums. Five years have passed since audiences last heard from Finger Eleven. That is a long time in itself in music industry years. Now though, that long wait is finally over. That is because next month the Canadian-based rock outfit will release its latest album Five Crooked Lines. The album, the band’s sixth, will be released July 31st via The Bicycle Music Company/Concord. Listening to this record from beginning to end, it is safe to say that the wait for this album was well worth it. Of the album’s twelve total tracks, there is not one bad number to be heard. As a matter of fact, it could even be argued that this record is F11’s most radio ready record to date. That is because any one of its tracks could be used as a single. The band has obvious already taken that to heart and released the album’s lead single ‘Wolves and Doors.’ Fans of the band’s 2007 album Them vs. You vs. Me will appreciate this song and its companion video. It’s just one example of what makes Five Crooked Lines so enjoyable. There are also two very upbeat, optimistic pieces in the form of ‘Not Going To Be Afraid’ and ‘Blackout Song’ that could just as easily be used as singles. Whether for those two works, for the album’s lead single or for any of its other songs, it can be said that Five Crooked Lines gets five gold stars. 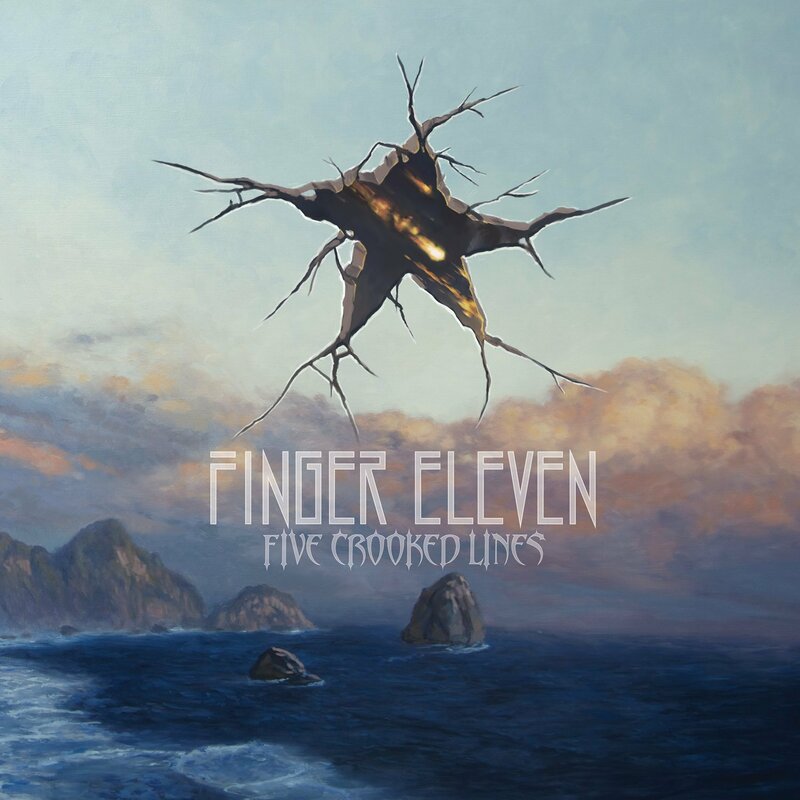 Finger Eleven’s latest full-length studio release Five Crooked Lines is the best and most radio ready album that the veteran band has released to date. Any one of its dozen total tracks could be used to serve as singles to represent it. It has already shown that with the release of its lead single ‘Wolves and Doors.’ This song is one that will instantly hit fans of the band’s 2007 album Them vs. You vs. Me. The reason being that its musical content sounds a lot like that of that album’s hit single ‘Paralyzer.’ Lyrically though, it is far deeper. Front man Scott Anderson comes across in this piece as singing about taking chances and making the most of life. That can be inferred as he sings in the song’s lead verse, “Step right on out/Of the zone of comfort/A little left of center/One step outside your head/Take all these words/Take all this time/You gotta spend it somewhere/Keep your delusion well-fed/Keep your soul for another day/Cause the game’s the game/And the wolves at the door remain.” That argument is made even stronger as he sings in the song’s second verse, “Come save their world/Come move that mountain/Make all the difference/Step up above the rest/Give every inch and all your energy/ And don’t let up until they say/What you think they think is best/Save your soul for another day/Cause the game’s the game/And the wolves at the door remain.” It’s an interesting statement and one that will definitely have listeners talking. That one line in which Anderson states, “Don’t let up until they say what you think they think is best” is one of the most interesting of the song’s lines. It’s Anderson saying to listeners, “stand your ground and don’t give in regardless of the situation.” The way that Anderson has worded it is a little bit of a twist. But once listeners really think about it, it becomes a deep statement. That statement taken with the rest of the song’s lyrics make for quite the depth. Partnered with guitarist Rick Jackett’s infectious guitar line (and later his solo), it proves even more why Five Crooked Lines is such a welcome return for F11. Audiences can hear the single for themselves now online at Vevo now at http://www.vevo.com/watch/finger-eleven/Wolves-And-Doors-(Music-Video)/QMFMK1500155. ‘Wolves and Doors’ is an excellent first impression from F11 in its return. Rick Jackett instantly takes audiences back to days gone by with his infectious guitar work. And front man Scott Anderson’s lyrics are sure to leave listeners talking just as much. The combination of both elements prove why the song was chosen as the album’s lead single. It is just one example of what makes this record the band’s best and most radio ready to date. ‘Not Going To Be Afraid,’ the album’s mid-point, is just as strong of an example of what makes Five Crooked Lines so impressive. It’s obvious in listening to this song that the band put a lot of thought into its creation. That is because Jackett’s guitar line and Anderson’s own vocal delivery perfectly match the tone of the verses and choruses. The verses, in which Anderson sings about so much personal strife are made especially emotionally gripping thanks to Anderson’s own heart-wrenching vocal delivery style set alongside Jackett’s equally moving guitar line. What is really interesting here is that the song doesn’t just jump musically from its verses to the chorus. Rather the verses progress from those emotionally powerful verses to the more optimistic chorus in which Anderson sings, “Even though it’s so dark/I see one last spark/Maybe hope’s not far away/Heaven can’t help me/But courage could sell me/I’m one last chance/I should take.” He goes on to sing in the song’s chorus, “Fear has always known my name/Play me just like a game/ Today won’t be the same/I’m not gonna be afraid/Crushing overwhelming doubt/Scream a little louder shout/Then whatever happens now/I’m not gonna be afraid.” That emotional back and forth (in musical terms, that’s called an ABAB structure) makes this song just as solid a representative for Five Crooked Lines as ‘Wolves and Doors.’ It is just as sure to be a fan favorite as that song or any of the others that make up the album’s body. That being the case, it shows once more why Five Crooked Lines is the band’s best album to date and its most radio-ready. Both ‘Wolves and Doors’ and ‘Not Going To Be Afraid’ clearly show why the wait for Five Crooked Lines was well worth the wait. They are only two examples of why it was worth the wait, too. ‘Blackout Song’ is yet another example of why the wait was worth it. It is more celebratory than emotional yet still just as optimistic, if that makes any sense. Explaining the song in terms of its musical and lyrical content will perhaps make that clearer. The song’s title alone gives its own hint that the song is yet another piece that will put a smile on listeners’ faces. That certainly proves true as the band kicks into the song. The song’s opening bars see the band singing in almost a chorus effect before Anderson takes the reins, singing, “I told myself I’d/Stay in tonight/But here I am with no end in sight/I feel amazing/And if you are willing/This is only the beginning/So get here right now/You’ve got to come down/I’m calling you out/Let’s stay up all night/And we’ll sing/For everything good in our lives/Let’s stay up all night/And we’ll say f*** everything we never tried.” If that opening verse and chorus set alongside the song’s upbeat musical content doesn’t get listeners happily singing along, then there’s no telling what will. By themselves, they are yet another reflection of the album’s title and Anderson’s explanation behind it and how it is meant to invoke positive thoughts. The song’s second verse and chorus mirror that thought pattern just as much, as Anderson sings, “Put a song on/I don’t care which one/Cause I’ll only get the words wrong/I’ll change the meaning/To just how I’m feeling/Cause I don’t feel much like leaving/So get here right now/You’ve got to come down/I’m calling you out/Let’s stay up all night/And we’ll sing/For everything good in our lives/Let’s stay up all night/And we’ll sing/f*** everything we never tried.” He goes on late in the song to expand even more singing how people will remember the song’s subject because he had such a good time. It is just a great, feel-good song that is just as certain as either of the previously noted songs to be a fan favorite and/or single. That is thanks to those infectious hooks and choruses that make up its body. Of course its overall bright outlook on everything doesn’t hurt, either. It is just one more great touch to an album that is overall F11’s best album to date and its most radio ready. Even more simply put, it is one more song that, along with the previously noted songs and with those not noted here, proves without a doubt that Five Crooked Lines was well worth the wait and gets five gold stars. Finger Eleven has made it official. It will release its sixth full-length studio recording this summer. 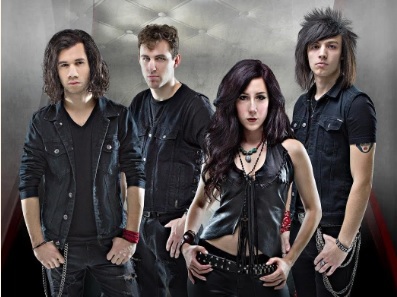 Five years removed from the release of its 2010 album Life Turns Electric the Canadian rock group will release its new album Five Crooked Lines. The album is currently slated to be released on Friday, July 31st via The Bicycle Music Company/Concord. In regards to the album’s title, front man Scott Anderson explained that it stemmed from the lyrics to the album’s title track. He explained that five crooked lines can be used to make something ordinary or something extraordinary, and how that ability to use such lines is linked to the fragility of fortune and luck. “For me it’s symbolic of fortune and luck and how fragile those things are,” he said. “In one instance you’ve got five crooked lines, which in one position is just a heap of bent sticks. But in the right way, they make a star, which is the most glorious shape there is.” Fans can download Five Crooked Lines via iTunes at https://itunes.apple.com/us/album/five-crooked-lines/id999975916 and order it via Amazon at http://www.amazon.com/Five-Crooked-Lines-Finger-Eleven/dp/B00YV9OIW2/?tag=concordreco0c-20. In anticipation of the album’s upcoming release, the band has debuted the video for its lead single ‘Wolves and Doors’ online. The video, which cuts between shots of the band performing its new song and shots of other rather intriguing images, can be viewed online at http://www.vevo.com/watch/finger-eleven/Wolves-And-Doors-(Music-Video)/QMFMK1500155. The band also announced that it will hit the road ahead of the album’s release beginning Saturday, June 13th in Burlington, Ontario at the Sound of Music Festival. Three Days Grace will join the band on select dates. Finger Eleven’s current tour schedule is listed below. Dorean Lives has officially put itself onto this critic’s list of the year’s best new independent releases. The Birmingham, Alabama based band has proven with its debut record that it can easily hold its own with some of mainstream rock’s biggest names. A Cold Fire From The One I Loved boasts a dozen tracks that are just as solid as anything released by Chevelle, Breaking Benjamin, and others of that ilk. Front man and band founder Logan Freeman even sounds like Chevelle’s Pete Loeffler as he and his band mates make their way through the album’s near hour long run time. If a person were to listen to this album not knowing it wasn’t one of the aforementioned bands, one would actually think it was one of them. Audiences will be grabbed right from the album’s opener, ‘Shiver Breathe Repeat.’ The song’s musical side will grab listeners and hold them throughout the song. Lyrically, it’s sure to have listeners thinking. The song’s lyrics are slightly cryptic. It could be argued to be based in a relationship issue. That argument could be made as Freeman sings, “I breathe you in/Shiver/Just Breathe with me/It won’t be long till/This is all you know/And just is/Whether it’s a twitch of the eye/Or a vision that’s not there/Don’t you/Shiver, breathe, repeat.” The song’s moody musical side serves as fuel for that argument. ‘Shiver Breathe Repeat’ is a good starting point for Dorean Lives. It is a solid first impression from the band, especially considering everything that the band’s members faced over the years. ‘Shores’ is another of the album’s high points. Anyone that is a fan of Switchfoot will appreciate this mid-tempo rocker. Perhaps the most interesting aspect of this song is not so much the song’s musical or even lyrical side, but Freeman’s vocal style. At first Freeman sounded somewhat like Chevelle’s Pete Loeffler. Somehow, he has managed to make himself sound more like Finger Eleven’s Rick Jackett. This is especially the case when he hits the high notes, singing, “I’ve got this burnt skin/On my hands/From test faith/It’s true/As I turn my eyes/From the crested waves I’d hoped I’d see/I still hope to see you.” That vocal talent set alongside the song’s equally solid musical and lyrical sides makes this song even more one to check out. The members of Dorean Lives exhibit quite a talent for writing and musicianship throughout this record, as one should be able to note by now. For those that are perhaps not yet convinced of this, a single listen to ‘The Fear That Brought Us’ will perhaps do the tricks. This seemingly socially conscious song grabs listeners right from its opening seconds with the subtle ringing of bells that suddenly disappear before the band launches full speed into the song. Freeman sings in this work, “So who among you led the sheep to wolves/So who among you led them to their death/It was you/It was you.” These short lines are some of the album’s most powerful. They come across as a social statement of sorts that addresses false leaders. Now whether those leaders are political or otherwise can only be answered by the band. But that supposition is made even clearer earlier in the song when Freeman sings, “But who drove you to do this/Sweet deceiver/to lead them along/Tell them their wrongs/To hold their hands/Cause you’re so sure/That’s what faith is.” It’s even clearer here that Freeman must be singing about false religious leaders, of whom there are quite a number. If Freeman’s intent was indeed to address said false leaders, then he and his band mates did quite the job of doing so. It’s sad that there are in fact such individuals out there. It’s good to see that in this song, a whistleblowing call to arms of sorts. It’s just one more piece of the whole that audiences will enjoy with each listen. And audiences can liten any time they want as A Cold Fire From The One I Loved I available now. It can be ordered online at http://www.redcordrecords.com/releases. 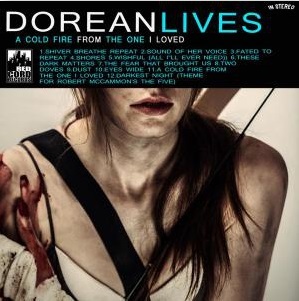 More information on the band’s debut record, its tour dates and more is available online at http://www.facebook.com/DoreanLives and http://www.doreanlives.com. To keep up with the latest sports and entertainment reviews and news, go online to http://www.facebook.com/philspicks and “Like” it. Fans can always keep up with the latest sports and entertainment reviews and news in the Phil’s Picks blog at https://philspicks.wordpress.com. Nonpoint has been through a lot of trials and tribulations since it broke through in the musical gold rush of 2000. It’s seen changes in its label more than once. It has also seen lineup changes. A lesser band would have taken all of this and called it a career. But that’s not the case with Nonpoint. The members have collectively taken every punch thrown at the band and thrown those punches back with just as much force in every round. 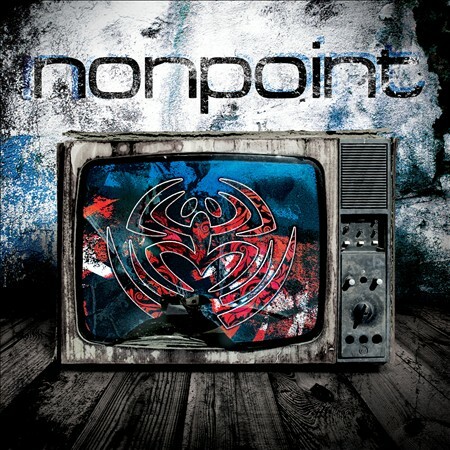 And now on its seventh full length major label release, Nonpoint has shown once again that while it’s taken its punches, it’s far from being knocked out. The band’s new self-titled LP is being released on Razor&Tie. It was produced by famed producer, Johnny K (Disturbed, Finger Eleven, Staind, Megadeth, etc.). The album opens with a blatant statement (yes that pun was intended, for all the long time fans) that it’s still here and standing tall in ‘Lights, Camera, Action.’ Front man and founding member Elias Soriano sings on this album, “Forget about the rumors that you heard/Cause they exaggerated every single word/And you forget you ever heard ‘em/When you hear about the struggles and the burdens/And all the tabloids cover all your bad boy antics…/I’m looking for a change or a chain reaction.” There’s little room to guess what Soriano’s writing about here. Add in the guitar work of new member Dave Lizzo on guitar and this song will make any long time fan glad the band is back again. Soriano continues that same energy on ‘I Said It.’ His own words best describe this piece. As he noted about the song in an interview, “It’s very aggressive and in-your-face.” He couldn’t be more right. He lets loose here singing, “I said it, I said it/I’m seeing that I said it/And I mean it/I don’t care, I don’t care and I don’t regret it…I’m not playing anymore/you started a war.” He also noted of the song, “We set the DNA of the record with that song.” That being the case, it’s one heck of a way to set the tone for the rest of the album. The energy from that song rings through every track on the album in its own way. And thanks to the work of Johnny K, he was able to really harness that energy and help the band assemble an album that’s one of its best yet in its now fifteen year career. The band is currently touring in support of its upcoming self-titled release. It will be performing at The Note in West Chester, PA tonight and will follow up that show with shows in Hartford, CT and Worcester, MA tomorrow and Saturday. Fans can get a full tour lineup and all the latest news from the band online now at http://www.nonpoint.com, http://www.facebook.com/nonpointworld, http://twitter.com/nonpoint, http://www.youtube.com/nonpointworld, and http://www.myspace.com/nonpoint.